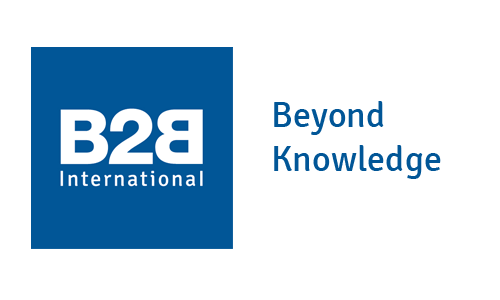 B2B International is the largest, independently owned, business-to-business focused market research company in the world, working with leading brands and multinationals to provide valuable market information that guides more effective corporate decision-making. And it is introducing a new look and brand proposition! Over 15 years, B2B International has continually transformed itself in order to provide cutting-edge market intelligence. What began as a family business in 1998 has become the world’s leading b2b market research agency. The company has been re-energised on the back of a record year of financial growth and after a period of sustained global geographical expansion. Hague also believes the rebrand is a recognition of how the market research industry itself has changed within the last decade, how clients/organisations perceive market research and wish to receive intelligent information, and how the digital revolution and rise of social media need to be more overt in a brand.